Students on assistance to keep more of income – WHO IS ANDREA KITAY? Students on social assistance can expect to not have the income they earn from their jobs reduce their social assistance. 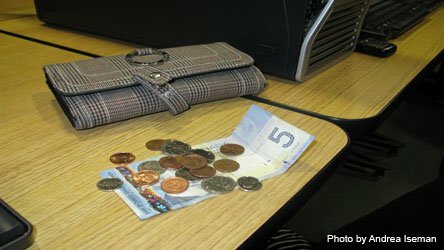 An Ontario poverty reduction strategy released last week has new provisions for students on social assistance. Taking effect immediately, students who are on social assistance, or who have parents on social assistance, will have their earnings fully exempt as income. “What it means is a son or daughter on social assistance, or an adult on social assistance who is going back to school, can earn money without that jeopardizing their social assistance,” said Deb Matthews, minister responsible for women’s issues and chair of the cabinet committee on poverty reduction. The new provision is part of the larger picture in recognizing the importance of all levels of education, starting from kindergarten all the way up to post-secondary, said Matthews. In addition, the Ontario government has tripled the number of non-repayable grants available to students, such as the Ontario Student Opportunity Grant, which limits repayable student loan debt to $7,000 per year. “There is no better protector against poverty than a good education,” said Matthews. Manager of Financial Aid at Humber, Holsee Sahid said the new provisions are a great idea in helping students pay for their education. As well, the strategy also makes mention of increased funding to colleges and universities. As part of the plan, $970 million will be invested to build and improve the places where students learn, and $560 million to expand and improve training and apprenticeship programs across the province. Humber Students Federation Vice-President of Administration at the North Campus, Amanda Connolly said any money that goes into post-secondary education is helpful. “I think it will allow colleges to keep their equipment updated, which will increase our institutions’ competitive edge because we are learning using the most recent technology and equipment,” said Connolly. Connolly also mentioned Ontario’s textbook and technology grant, which was implemented this year and gave some students a cheque for $150. Connolly said the grant was a step in the right direction, but needs to be increased. To see this article on its original website, click here.